AJB Window Cleaning provide a reliable window cleaning service in the Maidenhead and Thames Valley area using pure water reach and wash system and traditional methods. Utilising the pure water reach and wash system, we can clean windows in high an awkward areas i.e. velux and dormer windows etc. The pure water reach and wash system will leave your windows sparkling clean and clear and free of spots and streaks. In addition to cleaning your windows we will clean all window frames and sills leaving your home exterior windows sparkling clean. 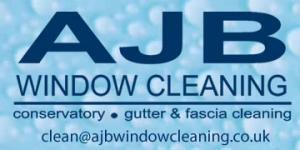 We also provide and internal window cleaning service if required. All internal windows are cleaned using traditional methods i.e. squeegee and scrim. AJB window cleaning will always contact you in advance before attending your property, we never turn up unannounced. We will either telephone or text, email to let you know the day and time we will be attending your property.